As useful as basements can be, building them is not necessarily intuitive. Typically, basements are dark and dreary and present all kinds of challenges when it comes to humidity and pests. Still, we build them. Whether we are seeking to create a cozy bedroom or the perfect TV room, basements can prove the ideal place for such projects – challenges aside. This is why we enjoy working with people like those who operate and design at Better Built Basements. They take the challenge of basement building to task and create spaces that are both useful and beautiful for their clients. Most importantly, their contractors are honest and timely. Why live in a mess you create when you can have your project professionally completed in an affordable and timely manner? 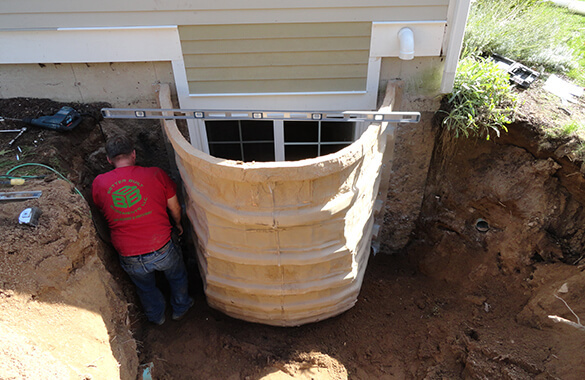 It has been our privilege to work with Better Built Basements on multiple occasions. So great was our experience, that we want to share it here on our basement blog as a resource for all of you who are considering (or have already started) renovating your basement. Whatever your project, Better Built Basements can help (see their portfolio here). Check out the projects we’ve collaborated on below! This project was in Madison, Connecticut. In designing this custom basement, Better Built Basements used egress window wells supplied by us here at Rockwell Window Wells. 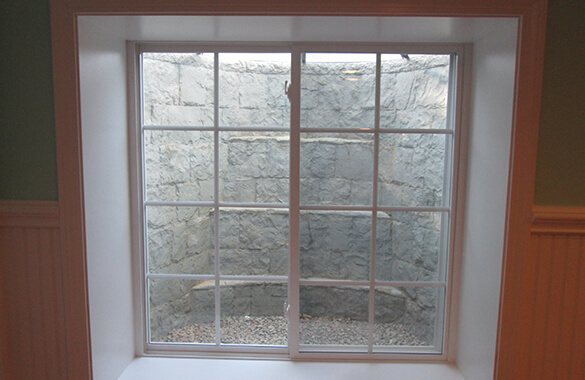 The placement of the egress basement window wells is ideal. See how the light flows right into the basement and reflects off of the brightly colored walls? What could have been a dreary space is now light and airy. Better Built Basements has also taken safety into consideration. In case of an emergency, the exit is easy to access and utilize. You also don’t have to worry about the well being safety hazard outside as the opening has been covered up by a cleanly designed, beautiful cover. 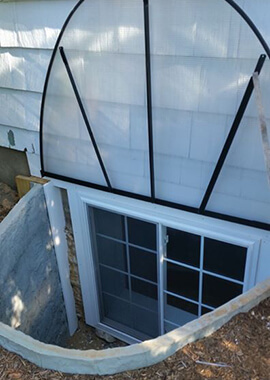 Ultimately, the use of the RockWell basement window wells is both design friendly and safe – the two key considerations in building a home. What about that basement bedroom where light and safety are most important? 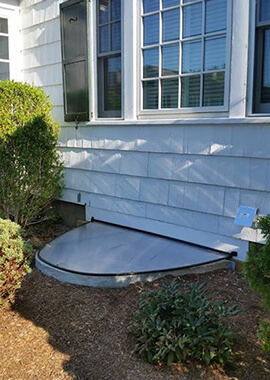 Check out this project in Unionville, Connecticut. 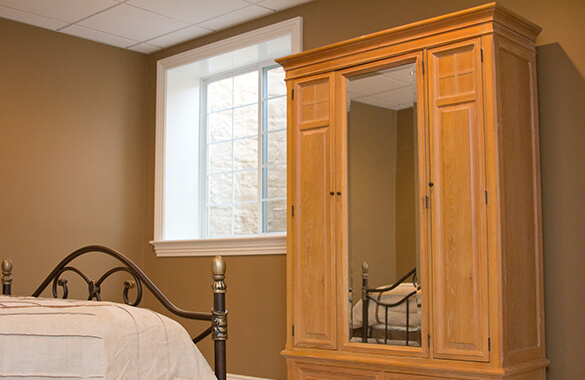 With basement egress window wells, there is no need to worry about the safety of your children sleeping in this bedroom. Plus, look at all of that light! You’d never know you were underground. Combine our top-notch product with their experience and know-how and we’ve got a great project! Read these testimonials to see more reviews. 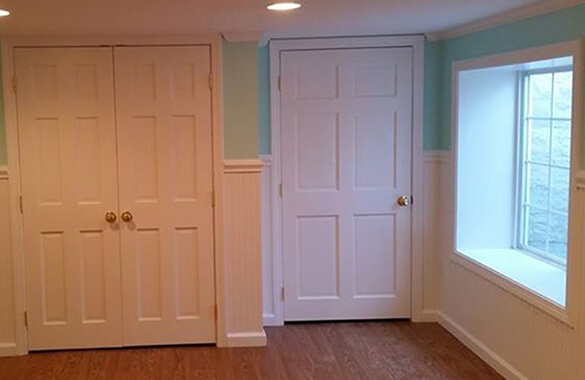 Better Built Basements is a Connecticut-based builder of custom basements. Check out their website, give them a call, or request a quote today!